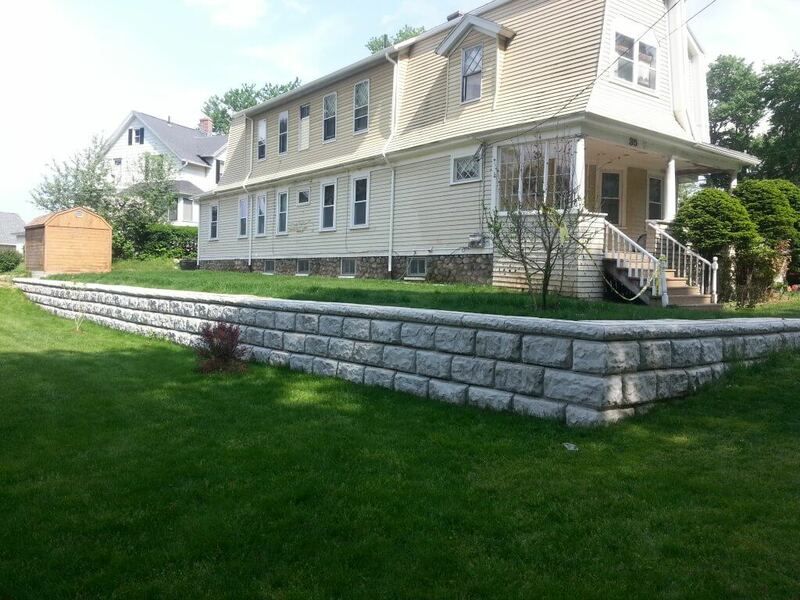 The retaining wall blocks are midsize. They are large enough for the most demanding jobs but small enough to be handled with the light duty equipment used by many landscaping companies. The walls look great in a residential setting, where larger blocks tend to overwhelm the scale of the house. They have rock face finish for a natural look. Our various blocks can be used to build out any kind of configuration, including corners, curved walls, step blocks and decorative caps. 8’ full block is 8’ x 1 ’ in height. Its weight is 2400 pounds. 2’ full block is 2’ x 1’ in height. Its weight is 560 pounds. ½’ block is 1’ x 1’ in height. Its weight is 280 pounds. The blocks have tapered sides that can create curved walls. They step back 1 inch for every course. The best quality precast products, delivered fast! 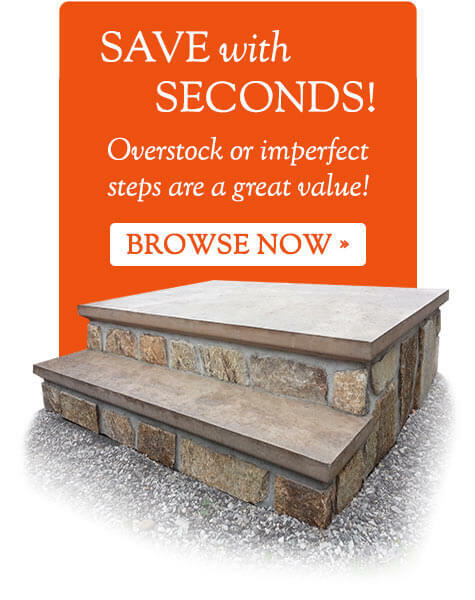 Contact us today for your free on-site estimate. Delivery and professional installation are always included. © 2017 Flagg-Palmer Precast. All rights reserved.